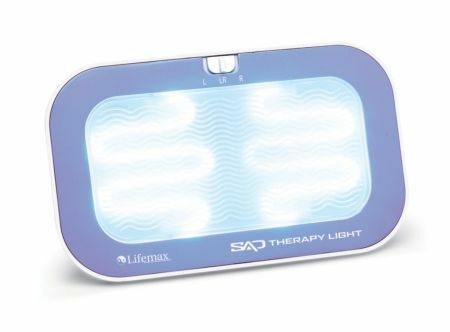 SAD Light Therapy Pad Simple And Easy To Use. Ordinary lighting in buildings can’t make up for the reduction in natural sunlight that we all face during the shorter days of winter months. However, this SAD (Seasonal Affective Disorder) light therapy pad provides a way to make up for this lack of light. The SAD light therapy pad is simple to use – just set it up in your workplace or home, connect to the mains and that’s it! You’re good to go. It uses a blue spectrum light tube that simulates natural daylight, and is a practical and easy way to benefit from light therapy. 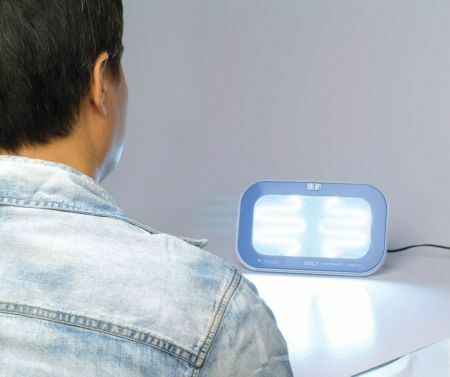 Light therapy has been in use for over a decade to help ease symptoms associated with Seasonal Affective Disorder, insomnia, skin complaints (such as exzyma), and more. This item is provided with its own stand, and a 12V Digital Switching Power Supply allowing you to use it anywhere in the world!